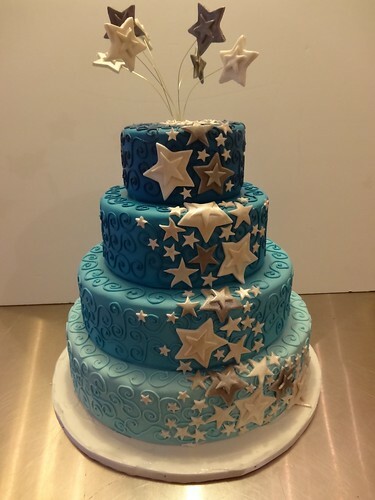 Starry Wedding Cake, a photo by CAKE Amsterdam - Cakes by ZOBOT on Flickr. Congrats to Saskia & Ximon! Chocolate with chocolate buttercream and cherry confit.